If you think planning an international relocation to London is tumultuous, so is London’s history. Last weekend, our Weekend Warrior Sunday series bid adieu to King Charles I as Oliver Cromwell and his New Model Army crush the monarchy.With Charles I duly executed, Cromwell tries to gain conservative support by squashing radical rebellion throughout the UK, including uprisings in Ireland, during which a huge percentage of indigenous Irishmen are massacred. Scottish supporters of Charles I’s son, Charles II, are likewise suppressed, which brings an end to civil war. 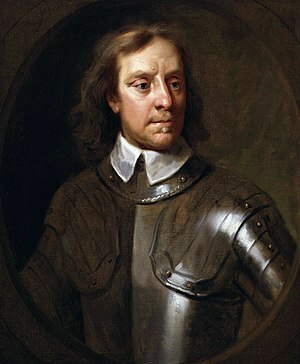 The year prior to the King’s execution, the Long Parliament had been reduced to a “Rump” Parliament when over one hundred members were forced out by Cromwell’s army and even more so refused to take their seats out of opposition to the army’s action. In the years to follow, the Rump Parliament has dismantled much of the existing government structure and rules England along with an executive Council of State. By 1653, however, Cromwell dissolves this Rump Parliament due to its ineffectiveness over time. He summons a new Parliament, which proves just as useless, so by 1655, Cromwell decides to shed Parliament altogether and rule on his own just as Charles I had done. He is offered the crown in 1657, but he refuses it. Rather than become “King,” he takes on the title of “Lord Protector.” Join us next Sunday to see how England’s Lord Protector fares as the monarchy isessentially restored in all but name.